The Guardian tells the story of the continuing violence in South Sudan. The fighting broke out in this newest of nations between President Salva Kiir’s Dinka tribe and his former deputy, Riek Machar’s Nuer tribe. The Guardian features a Saferworld photo exhibition that tells part of the story of the impact on women and children. 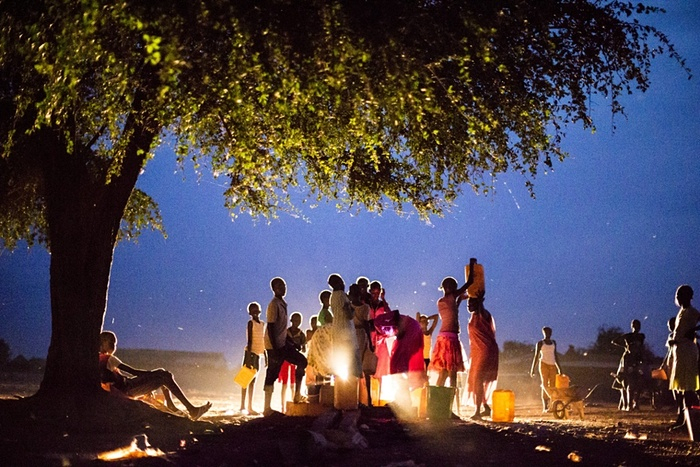 This photo, shot at the last water hole in Warrap state, is by Marcus Perkins, Saferworld.